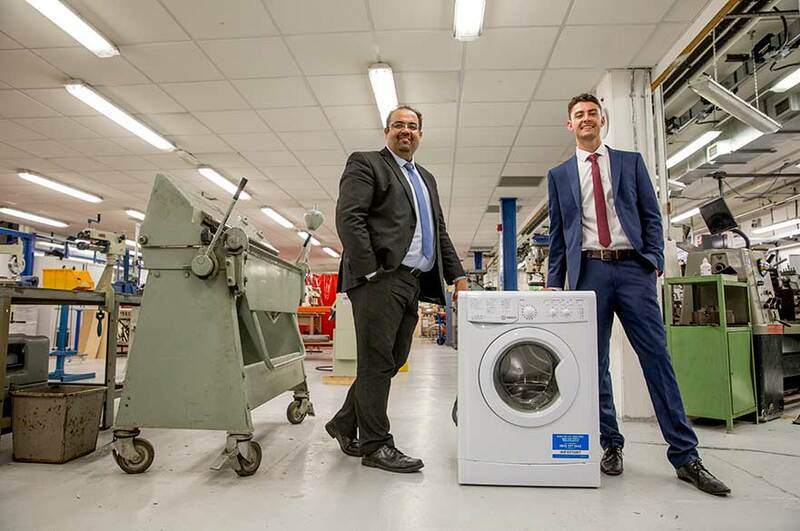 Professor Amin Al-Habaibeh, a professor in intelligent engineering systems, and undergraduate Dylan Knight, who studies BSc (Hons) Product Design, developed a hollow plastic counterweight which is filled with water to stop washing machines from vibrating during spin cycles. Currently manufacturers use concrete blocks weighing more than 25kg to prevent washing machines heavily vibrating. The current use of concrete increases appliance weight and creates carbon emissions through the production and transportation of concrete. 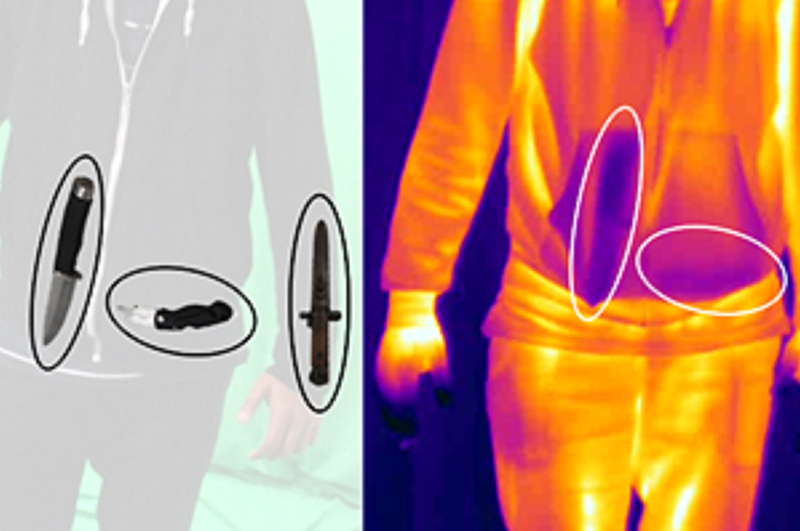 Dylan, 22, from Grove Park, London, tested the lightweight device – which weighs less than 3kg when unfilled – and found it was just as effective as a concrete counterweight when filled with water. He said: “Concrete is actually quite bad for the environment due to the CO2 released when it’s produced. The use of concrete is also the reason why washing machines are normally very heavy to move. The new design cuts the weight of the home appliance by 30%, which in turn lowers the cost of fuel through appliance transportation, also reducing the risk of physical injury when lifting and installing the product in the home. Research suggests that reducing the weight of a truck carrying washing machines by 100kg could save approximately 8.5g of CO2and 0.35 litres of fuel per 100km in transportation distance. Around 3.5 million washing machines are sold every year in the UK. If each was fitted with the new lightweight device, the carbon savings would equate to around 44,625 tonnes of CO2 and a reduced fuel consumption of 183,750 litres, when transported on average for only 50km. 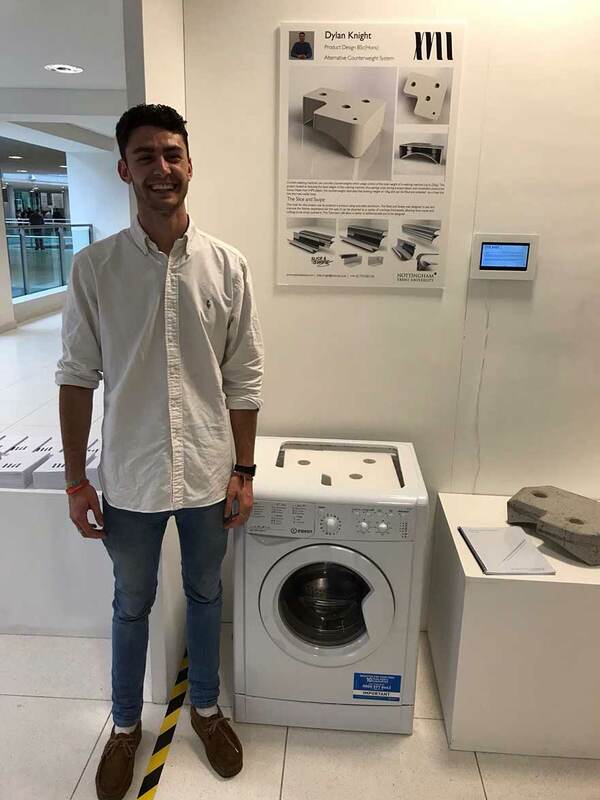 The project has been run as part of a live brief from product design company Tochi Tech Ltd, who are working with researchers and students at the university to find innovative and sustainable solutions to appliance manufacturing. Professor Al-Habaibeh said: “This sustainable solution not only reduces cost and energy needed for transportation, but also provides ergonomic and health and safety benefits to those physically handling washing machines. 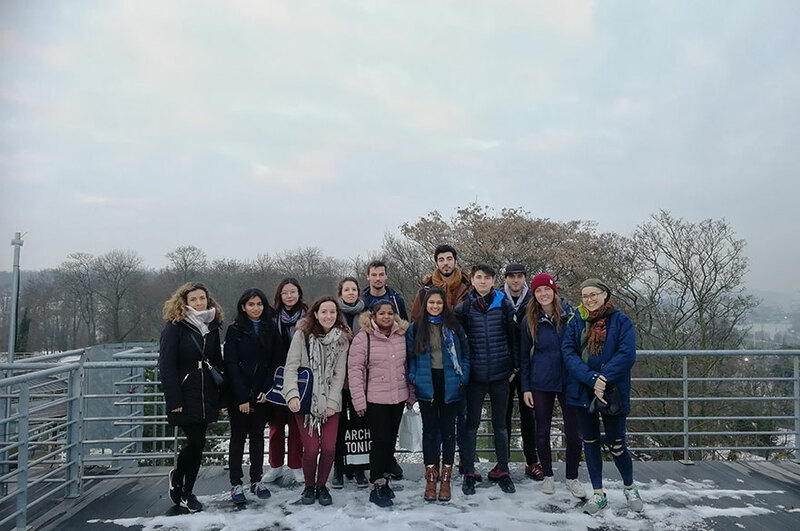 The research was been provided through the Enabling Innovation programme at Nottingham Trent University, which is funded by the European Regional Development Fund. The programme provides subsidised support to help SMEs in Derbyshire and Nottinghamshire to grow and innovate. 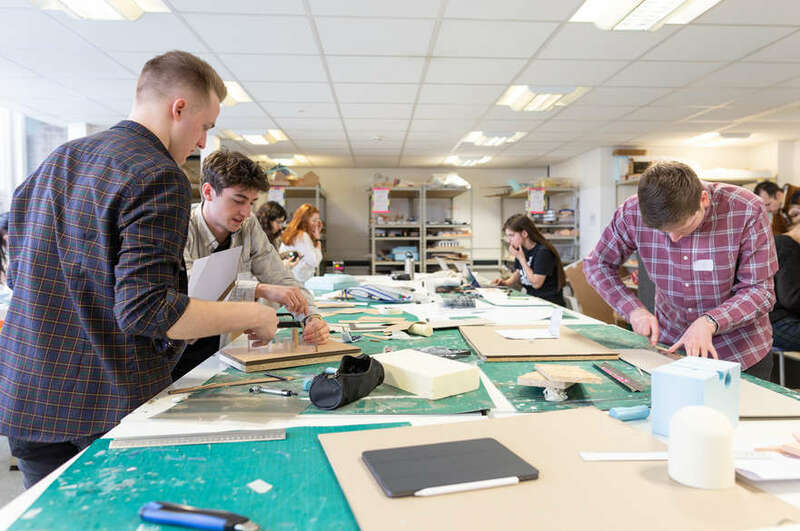 Siobhan Urquhart, innovation coordinator at Enabling Innovation, said: "The project has provided a great opportunity to work closely with both a local business and the expertise within our university. It has provided an outcome that will help reduce carbon emissions and is a project that we have been very proud to be involved in."